Def Leppard singer Joe Elliott has said the band will play old and rare songs during the VIVA Hysteria! residency in Las Vegas. 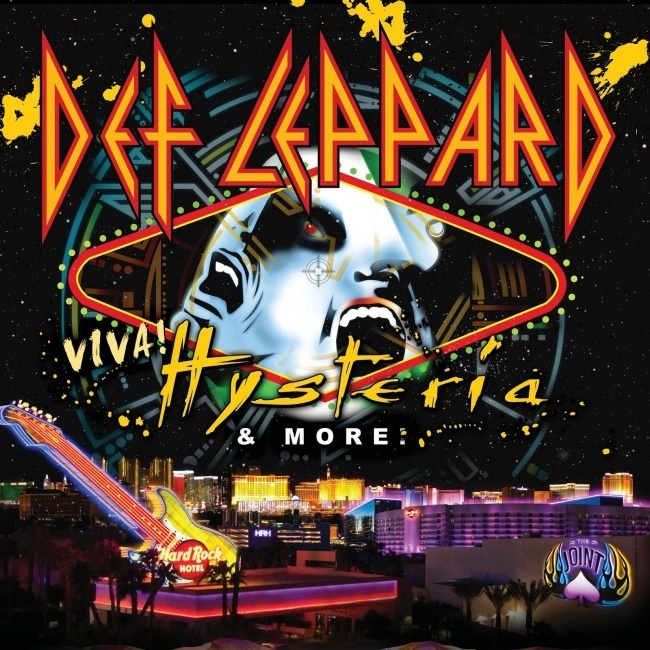 As mentioned last year the band will play the entire 'Hysteria' album in order during the 9 show VIVA Hysteria! residency starting on 22nd March. Before this the band will play around 45 minutes of non-Hysteria material and Joe has now revealed this could include songs from the early days of the band. The likeliest contenders will be songs from 'High 'n' Dry' and 'Pyromania' albums. The only 'On Through The Night' songs will likely be 'Wasted' and 'Rock Brigade' - both played in the USA (and elsewhere) this century. Once again this was said by Joe in the new issue of Classic Rock magazine (Issue 180) in which he also talked about Las Vegas recording plans. Joe's interview was part of their 2013 preview feature. He only answered five small questions with all the interesting parts now covered in the three news updates. The rest were comments on the Hysteria album and its success. "What's also special is that we end up being our own opening act on every show. Hysteria is just over an hour in length, and once we hit "Women", everyone knows what's coming next. So the first 45 minutes of the set is going to be different every night. We're going to pull out some choice stuff we haven't played in 30 years."